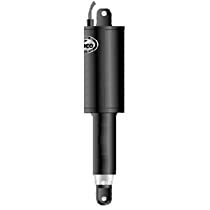 Actuator, 2 1/4" Stroke, 101XD, 12V, 5/16, MFG# LEN-15055-001, 101 XD Actuator, 5/16" Mtg HW w/6' cable. Used with HD, Xd, High Performance & Super Strong Tabs. LOA 11 3/8"